The March Rain Cocktail is something I created one rainy evening in March, hence the name. I started with sweet liqueurs, which is unusual for me since I generally don’t love sweet cocktails, but it ended up not so sweet, with an even less sweet version that’s just as tasty. I started with the Tia Maria and Canton Ginger Liqueur, wondering how they’d taste together. They needed something, so I added Fernet Branca bitters. Now it needed a little more sweetness, so I chose St. Germain because it’s delicately sweet and that unusual flavor rounds out the taste of cocktail recipes. Then I decided to add silver tequila and lime juice to the mix. It’s sort of nothing like a tequila. It tastes like sweetened coffee, then you get the spicy ginger note, then the sharp lime cuts in and adds a “wow” factor, and it finishes with that sweet coffee flavor again. There’s a less sweet version of it, too – just use 1 ounce of Tia Maria. Then the lime steals much more of the focus, and it’s refreshing and delicious. Both versions are great, and your preference will depend on your mood and palate. 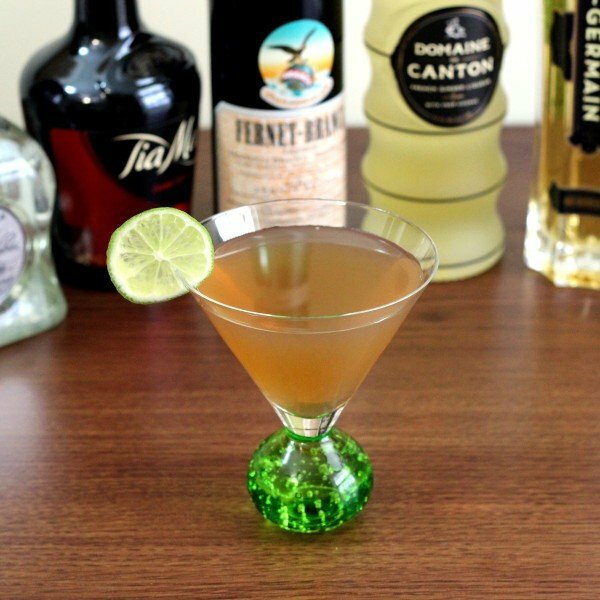 Even though I said it’s “sort of” nothing like a tequila, this cocktail will pair well with any meal that a margarita would. 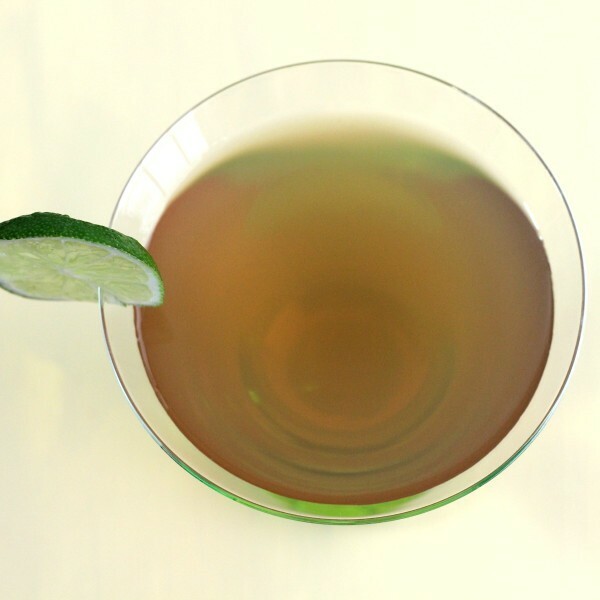 Fajitas would make a great choice because no matter which meat you choose, there’s plenty of bold flavor and spice to go with the ginger in the cocktail. Put a few ice cubes in a shaker. Pour in all the ingredients and shake until it’s chilled. 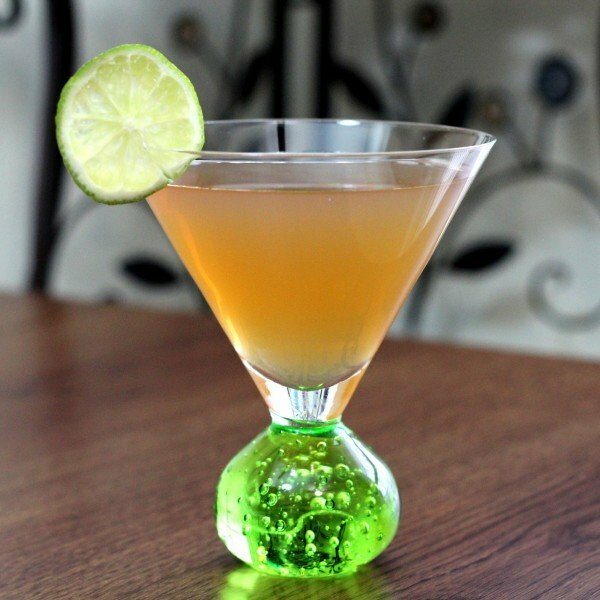 Strain the mixture into a martini glass and garnish with lime.